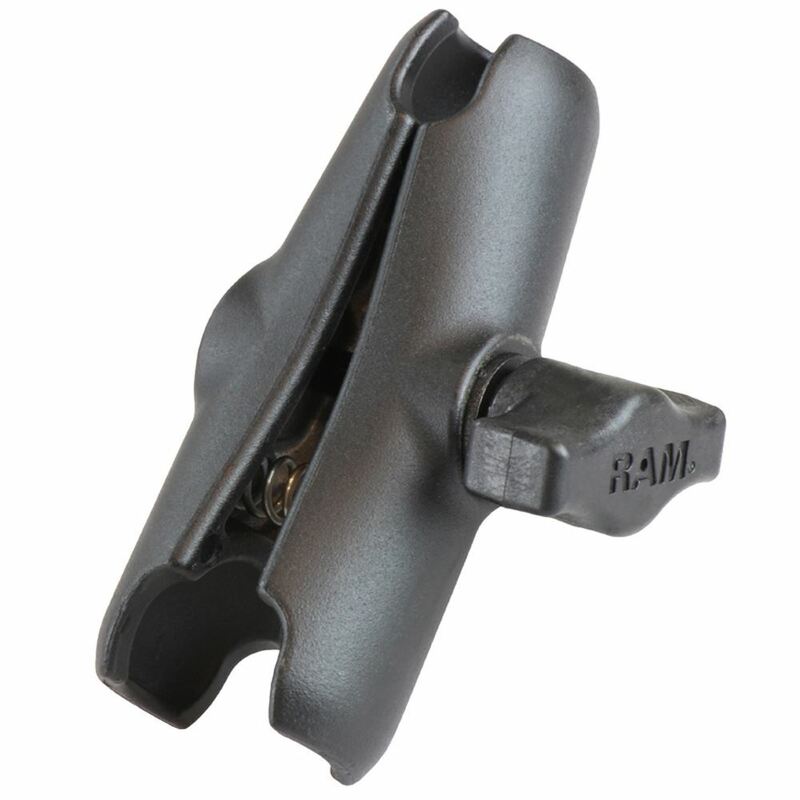 The RAM-B-201U by is a Medium length double socket arm,it has a socket at both ends that accommodates B Size 1" balls. The RAM-B-201U by RAM Mounts is a Medium length double socket arm, has a socket at both ends that accommodates B Size 1" balls. A single spring inside the arm, keeps the socket open, allowing you to incert the ball in to the socket connection. RAM's socket technology allows for almost infinite adjustment to achieve the perfect viewing angle. Socket to Socket Length: 3"